Brexit – Boris talks more nonsense and Labour, who back Brexit, attack him! That Boris is off on one again is no surprise to anyone but what on earth are the Brexit backing Labour Party up to? They are either with Boris or against him; can’t they make up their minds? On votes in Parliament Labour nearly always back our Bluekip/DUP Government over Brexit yet they then attack the very same Brexiters they vote with over the appalling consequences of us leaving the EU. What a mixed up and muddled world the Labour leadership must live in. Well here we have the proof that Jeremy Corbyn is really not up for fighting our Bluekip Government’s crazy Brexit. 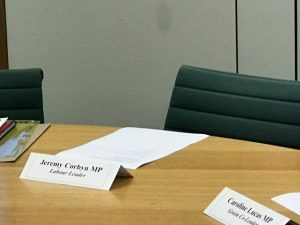 When a cross-party Leaders meeting was set up to discuss how to protect jobs and the opportunities of young people because of the devastating consequences of Brexit he was not there, indeed he refused to attend! 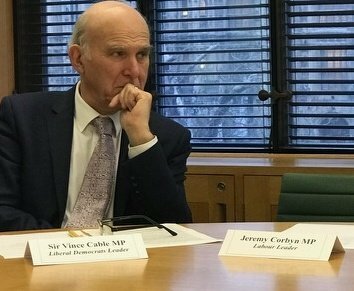 The empty chair was between Lib Dem Leader Vince Cable and Green Co-Leader Caroline Lucas. The SNP were there and so were Plaid Cymru, so that’s all the supposed progressive political parties represented in the House of Commons except Labour! And also supposedly, 80% of Labour members oppose Brexit probably because they know it will make the poor poorer, reduce opportunities for young people, put up the cost of living and put jobs at risk. But hey JC’s not on that agenda! I must admit I have begun to laugh these days when JC attacks the incoherent TM for being in a right old muddle over Brexit because he too is in that very same muddle. Yes he attacks her but he keeps on voting with her in the H of C! OK Lab’s official position last night was to abstain but that kind of sums them up at present does it not? 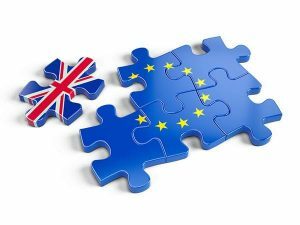 So what if Brexit does not actually happen? Now for those Brexiters who still read this anti-Brexit blog site I would guess that even the suggestion of Brexit not being followed through (at any cost – the more harm the better) will require them to take to the streets demanding that the UK self-destructs itself. But in the real world we all know that May and Corbyn and are in a right old tangle about how to deliver Brexit without flushing the UK down the economic pan of history. May’s presently got to find the impossible solutions whilst Corbyn feels the need to both back her and attack her as he does not have to find the solutions. Let’s face it, things are not going well in any way in Brexit Britain. Well here we are with JC in full Brexit cry saying what the Tories can’t negotiate Labour can! It would be funny if it were not so wrong headed. JC’s Labour have been in Teresa May’s back pocket with regard to Brexit for far too long – they’re like two peas in a pod. Yes, sensible Labour voices like Sadiq Khan keep challenging the Labour Leadership’s barmy stance on Brexit but JC and his shadow cabinet keep on running for the cliff edge with the Tories. What on earth can JC do to negotiate a good Brexit? There is no good Brexit just differing shades of a bad one. He needs vast taxation revenues to be able to fund his massive spending plans yet Brexit will without doubt lead to huge costs for the Treasury meaning he won’t have the funds to spend without more dangerous borrowing. Indeed, his leadership is already planning for a run on the £ if he gets a majority – planning for a run on the £!!! And how’s that going to provide money for his spending pledges? Teresa is making a terrible muck of things but JC could not possibly be any better in fact he could well be worse, if such were possible. Brexit is like fools gold, it looks like what some folk would want it to be but in reality it is worthless.